What’s your parenting trigger word? Words like “Pinterest,” “clean eating” and “PTA fundraiser” may raise your blood pressure or make you feel exposed because no matter what you do, that one family that everyone knows will be right there, nailing it at raising future citizens of the world. Here’s one trigger word we need to talk about: STEM. (It stands for science, technology, engineering and math.) If it’s a word that makes you think of complicated scenarios like designing Rube Goldberg machines that dish up mac and cheese, building robots in the garage and solving trigonometry problems for fun, it’s time to reframe that. 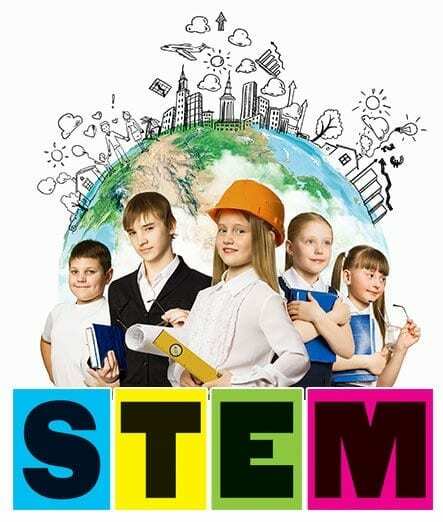 Look at it this way: You play a role in being your child’s teacher and guide, and as such, even you, a non-STEM person, have a lot to offer in helping your young child build a strong foundation in STEM subjects. As a NASA STEM educator and self-described STEM nerd points out, STEM is everywhere. If you don’t think you’re great at STEM, or even if your child, for that matter, sees STEM as not for them, there are things you can do to help them build that foundation of skills that will serve them well into the future. Yes, the possibilities of STEM are unlimited. But a great place to start is by understanding the foundation of what people in STEM professions do: They seek answers to real-world problems, and that starts with a healthy sense of curiosity, which leads into experimentation, all while applying a healthy dose of determination to the process. Wherever the path of life takes your child, these are all great qualities to cultivate. Pay attention to what is captivating your child at the moment and look for entertaining and informative content and activities that can enhance their learning and understanding of that subject matter. Library books, science shows, documentaries, museums and more can provide a captivating, engaging inside look at how things work. Beyond that, do an internet search for simple kitchen counter and backyard experiments that support the topic. Even better, it’s a great opportunity to spend quality time together. Not sure where to start? The best place to begin is with the many questions they ask. Speaking of questions, kids often treat parents like a real-life search engine. Your reflex to answer the question may kick in. Getting into the habit of asking them questions can get their wheels turning and encourage them to think creatively and critically to discover the possibilities. Ask questions starting with “what,” “why” and “how.” In the long run, being thoughtful about turning the question back to them will make them feel empowered, knowing they have all the smarts and resources to figure things out themselves. When kids start progressing in grade school, they often compare themselves to each other. That is, they become ability-aware. That can lead to a belief of being inadequate, simply because another kid is better at solving equations, running fast or playing the clarinet. Praising the results or any character traits like intelligence can undermine their confidence in the long run. Instead, focus on their effort, grit, determination and progress. They may not be the biggest star in the room, but that doesn’t mean these skills won’t serve them well later on. Check your school, public library and city recreation programs for after-school programs and activities that expose kids to hands-on fun and new ideas. Studies show that kids who participate in after-school activities perform better academically as well as socially. 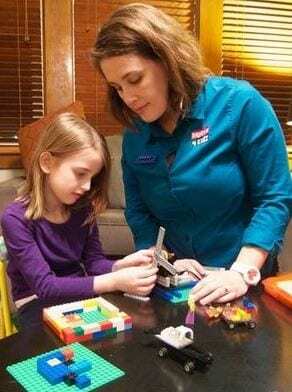 At Bricks 4 Kidz classes, learners build exciting projects with LEGO Bricks based on our unique models you won’t find in any store. Even better, our models and lessons are based on STEM concepts, like space exploration, amusement park rides, inventions and robots, reinforcing what they learn in school. The best part is, they’ll have so much fun, they won’t know they are learning.